Sopha & Co.: Why Is Angry Bird So Damn Popular? Angry Birds, the two-year old gaming app from developer Rovio, has been downloaded more than 300 million times to date and is on track to reaching its one billion downloads, according to Rovio CEO Peter Vesterback. The franchise has turned Rovio into a reported $1 billion company (on par with JetBlue). Clearly there's a demand for kitschy bird-catapulting games. According to the infographic below, created by Ask Your Target Market, single, young men are "most likely to fall victim to its allure" and start down a path of time-wasting like no other. That's no small accomplishment for a startlingly simple game with a broad franchise. Starting out as a free, ads-free iPhone app in 2009, Angry Birds has expanded to free and paid versions for Android, Windows Phone 7, Symbian, Maemo, PC/Mac, Sony PS3/PSP, and Roku hardware. There are alos plans to launch on various Nintendo consoles, Microsoft Xbox, and BlackBerry PlayBook as well as a version that takes advantage of near-field communications (NFC). The Angry Bird Frenzy has caught among small children too. Barnie and Debo are being replaced by it. 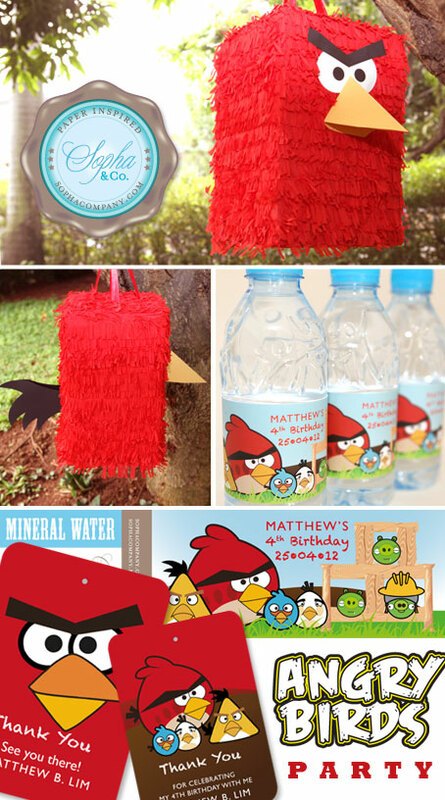 Sopha & Co. is now receiving order for Angry Bird Party.